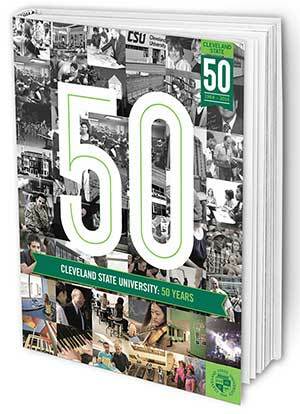 All are invited to attend a very special conversation about the history of CSU with Regennia Williams, Ph.D., author of the new commemorative book Cleveland State University: 50 Years , and Bill Becker, University Archivist, in the Michael Schwartz Library. Dr. Williams and Mr. Becker, both CSU alumni who have worked at the University for more than 30 years, will reflect on their personal experiences and memories as well as the evolution of CSU since its creation in 1964. A book signing and light refreshments will follow the presentation. Attendees will also be able to view the Library's new 50th Anniversary exhibit, prepared by Sarah Benedict, featuring historical photographs, publications, and memorabilia from the University's Archives. Posted 2015-02-18 07:17:47 by Lauren_Felder.